What is hybrid skating? Who is Christian? 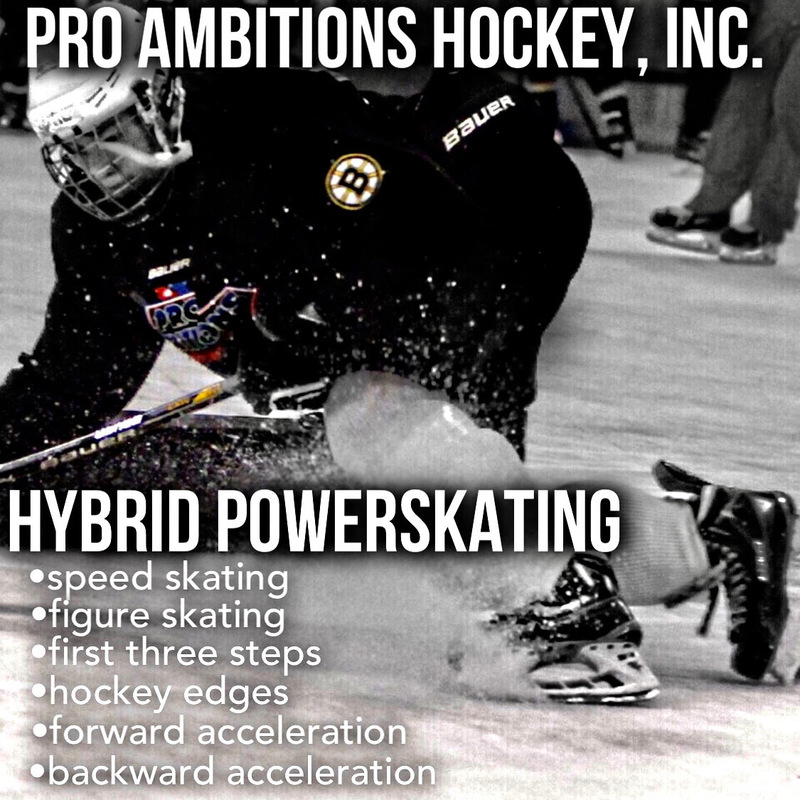 - Pro Ambitions Hockey, Inc.
What is hybrid skating? Who is Christian? We have combined all skating disciplines. Same as the best skaters in the NHL. That is why they are so fast. So skilled. We teach how to use both the inside and outside edges. Many of you have trained with him at Pro Ambitions at AAA BU. His background is in all skating disciplines. He is a great coach, tactician, communicator and teacher. We found him through a friend. We were sent his Crashed Ice Red Bull Speed Skating Competition Tape from years past. We are headed back out to MN in January to watch The Red Bull Crashed Ice Competition. Christian placed in the event years ago. His dad was an Olympic Speed Skater. He is a hockey player. His wife is a figure skater. He has his masters from Harvard. He has intellectualized the art of skating and HOW TO MAKE HOCKEY PLAYERS faster and better skaters. We have him back to head up this curriculum. We have many AAA BU campers doing a weekend with Christian at Jay Peak Vermont and then busing to BU or vise versa busing up for a weekend after BU. Christian will be coaching the skating for the afternoon sessions at AAA BU in July and will be holding three boarding camps at Jay Peak Vermont. Two three day and one four day. This is luxe resort accomodations and there will be hiking. 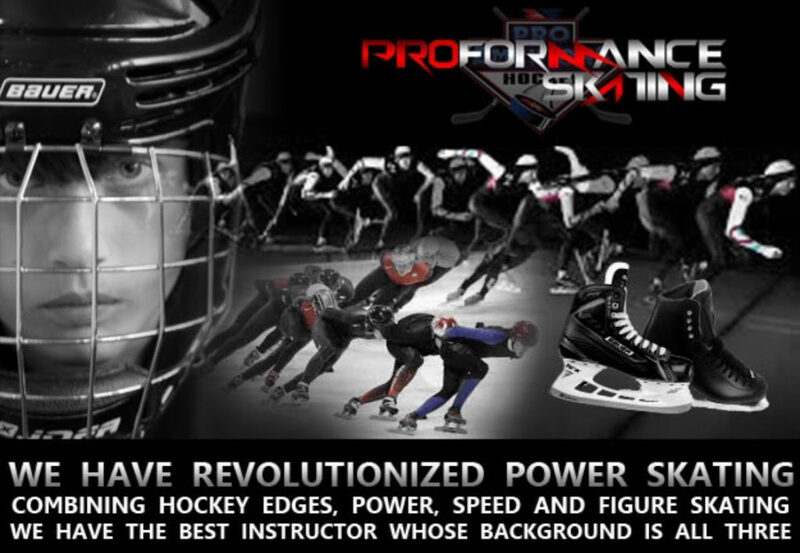 Everything at hybrid skating is skating specific. These camps are not for beginners. These camps are two three or four days. We have CO locations and a lot in MA. Many folks are flying into Boston and making a vacation out of training with Christian. Great idea. To search all locations and dates plug in HYBRID SKATING on the find your camp platform of the website. The Jay Peak Hybrid Skating Resort boarding camps are all half full and it is prior to Christmas. Christian will not bend on the numbers on these camps. There is a lot of individual attention for each skater. Copyright © 1994 - 2019 Pro Ambitions Hockey, Inc. All rights reserved. Submit your email address and location to receive exclusive content and discounts for our camps.